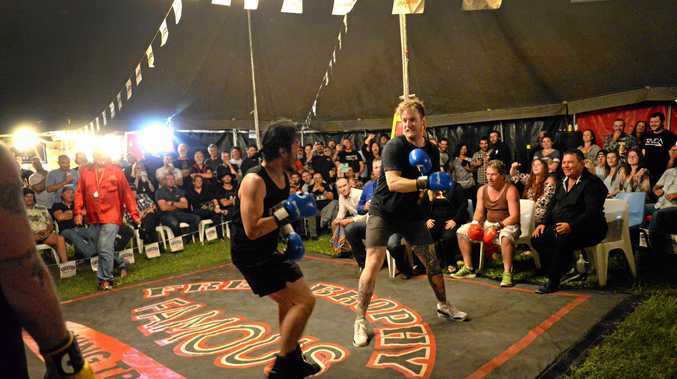 NOTHING can match it for anticipation, excitement and pure muscle when the Fred Brophy Boxing Tent hits the grounds of the Lighthouse Hotel in his home town of Burnett Heads. 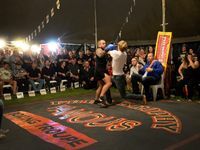 With Bundaberg fighters giving the best they can, this touring boxing tent exhilaration isn't just reserved for one night, but carries from Friday, October 6, to include Saturday, October 7. 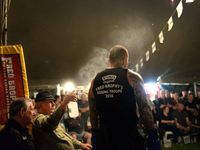 When the tent came to the region last year, Fred Brophy declared Bundy had some of the toughest fighters on tour but not one of them was good enough to collect the $30-a-minute prize purse on offer. There were some close battles and Fred kept control of them all - but could this year finally be the chance for a local to take the title? 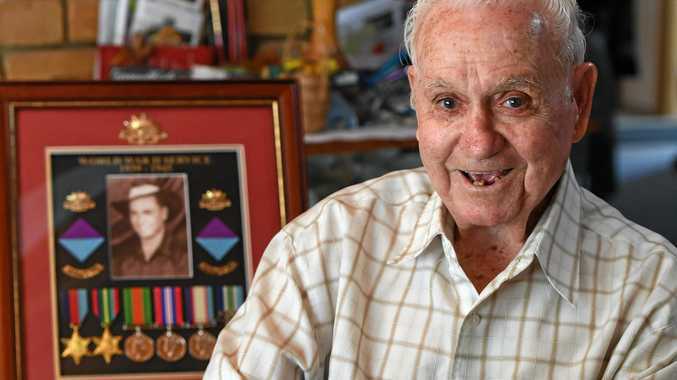 Fred Brophy is an Australian icon. The fourth-generation showman runs the last traditional tent boxing troupe in the world. In 2009 he was inducted into Queensland's boxing hall of fame. 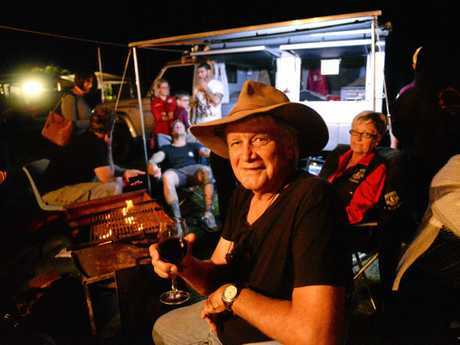 A year later, after 35 years of travelling the length and breadth of Australia, he was awarded the Order of Australia Medal for entertainment to the outback. He started boxing at five and kept at it for 20 years before crossing over to run and own his own troupe. 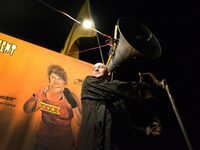 Spruiking his show, high on a platform in front of the tent, to 200-plus patrons, Fred lets them know they are in for a special night and this year will be just as thrilling as both men and women take to the ring. For those who don't have plans to take to the ring but still love all the action, there is a meet and greet with Fred Brophy and his boxers, where you can meet the faces behind the entertainment and get an idea of what makes them the champions they are. Lighthouse Hotel manager Gavin Hales said it is always a night to remember and there definitely is plenty of value in the $35 entry fee. "We have great bistro specials, monster raffles, live entertainment from Derek F Smith and even a free bus from Bundaberg to Burnett Heads," he said. "We continue to be wowed by just how good a show this is and how far and wide people come for a chance to see Fred Brophy and his team in action."